← Check out some great local art events! Nearly 2,000 Christians from around the world had signed on to Christians United: A Statement In Support of LGBT+ Inclusion in the Church on Thursday morning, including more than 300 denominational leaders, theologians, and Christian influencers. San Diego, CA: Nearly 2,000 Christians from around the world had signed on to Christians United: A Statement In Support of LGBT+ Inclusion in the Church on Thursday morning, including more than 300 denominational leaders, theologians, and Christian influencers. 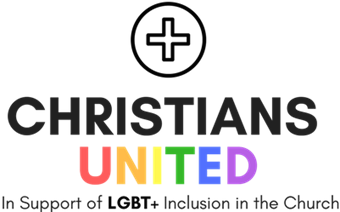 Christians United is an international theological statement bringing together thousands of LGBT+ affirming Christians to declare with one voice that the Church of Jesus Christ must be a place where LGBT+ people are celebrated and embraced. Christians United came as a direct response to The Nashville Statement, a document composed and signed by 150 major evangelical leaders in August 2017, which reaffirmed toxic, non-affirming theological commitments that have caused verifiable harm to countless LGBT+ people of faith around the world. The statement was originally drafted by LGBT+ Christian activist and Nomad Partnerships Executive Director, Brandan Robertson and was edited by a distinguished editorial board including Dr. J. R. Daniel Kirk, Bishop Joseph Tolton, Rev. Steve Chalke, and Dr. Paula Williams. In the first twenty-four hours of it’s release, Christians United was signed on to by over 1,000 Christians from around the world, including top theologians and the leaders of some of the worlds most influential Christian denominations. Christians United stands as a faithful witness that a new day is dawning in Christianity, a day in which the Church of Jesus Christ repents of its sin of exclusion, and swings open it’s doors to welcome all of God’s diverse children. To see the full text of the statement, visit www.ChristiansUnitedStatement.org.